DEAR JERRY: I noticed that when you refer to the value of something, it is always for items in near-mint condition. I understand why you must do that, but isn't it more likely that most older records have been used and are now in something less than a near-mint grade? How should we estimate the values of ones with noticeable flaws? DEAR VIN: You're right about most older records showing signs of wear. 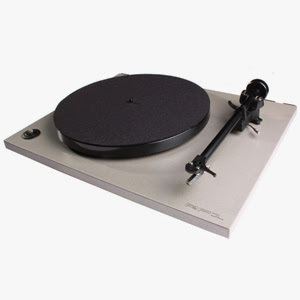 Though those platters were intended to endure repeated playing, it is when they were not properly played (quality of stylus or needle), stored, or handled that causes depreciation. 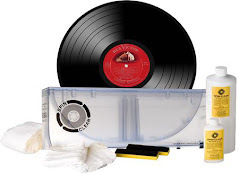 Many exceptions exist, but one rule of thumb is that a near-mint record can be worth up to 10 times that of one showing signs of use and abuse, and five times one showing use but not abuse. The same applies to covers of LPs and EPs, as well as custom sleeves made for singles. DEAR JERRY: Linda Laurie and her make believe boyfriend got a lot of exposure around 1959, because of her novelty hit, "Ambrose." It has Linda and Ambrose walking and talking in the subway, but no matter what she says his only response is "just keep walking." Many people know this record, but a few years later someone reworked that same story to tie in with the twist dance craze, and it has been a total mystery to everyone I've ever asked about it. Instead of being in a subway, the couple is on the dance floor. The girl wants to take a break, but no matter how persuasive she is, his only response is "just keep twisting," which is probably the title. Is this also by Linda Laurie? DEAR STACY: In a saga worthy of a Paula Zahn or Keith Morrison investigation — where every story has a twist — this poor girl is essentially being held against her will on the dance floor. I think her date/captor has an antisocial personality disorder (ASPD). "They [the band] have been playing this tempo [twist music] all night without a letup. I'm so tired. I wish I could lie down and sleep … for a week." His two-word reply, as well as the song title, is "Keep Twisting." "I didn't have a minute's rest all day. I got up very late and I missed the bus so I had to walk seven miles to work. My heel broke and I had to practically limp the last three miles. Please, honey, can't we sit down for a minute?" "Do you remember the night we met? I knew at a glance it was love. You took me in your arms, brought your lips close to mine, and do you remember the first sweet thing you said?" "What's all the confusion over there? Isn't that smoke coming up through the floor? Sure it is, there's a fire in this place. Don't you think we ought to make a run for it? "Look! All the people are rushing for the exits. Pleeeeze! I'm hot, let's go while there's still time. "I can't even see, there's so much smoke. What are you, some kind of nut? "I can't stand it anymore (coughing, gagging), I'm getting out of here (coughing), you can stay if you want!" Jan Miner is the only artist credited on "Keep Twisting" (Everest 19429), leaving us to wonder who plays the part of the obsessive-compulsive twister. Linda Laurie had no involvement in this adventure. On the B-side is "Cook-Cook Cookie," a twist music instrumental, by the Five Cookies. This tune is remarkably similar to the music playing throughout "Keep Twisting," sans the Miner and friend dialogue. Though more than 100 twist records came out in the early 1960s, "Keep Twisting" was among the first. When it came off the press (January 1962), there were only two twist hits in the Top 40: "The Twist" (Chubby Checker) and "Peppermint Twist" (Joey Dee and the Starliters). IZ ZAT SO? 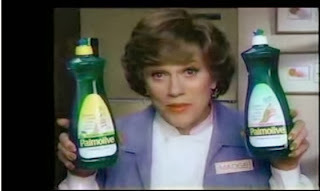 According to IMdb.com: "Jan Miner became a TV icon to generations of viewers as Madge, the wisecracking manicurist for Palmolive Dishwashing Detergent. She played this role for 27 years, one of the longest ongoing product endorsement relationships in television history." Janice Miner (her real name) died peacefully of natural causes, February 15, 2004 in Bethel, Conn. She was 87.